In his latest blog for PakPassion.net, former Pakistan paceman Mohammad Zahid writes on a variety of topics including Pakistan's chances of success in the upcoming Asia Cup, why Pakistan needs to move on from Mohammad Hafeez, Fakhar Zaman as a potential Test player, Pakistan's performance in England in Tests and why change is necessary at the PCB in light of Imran Khan's appointment as the Prime Minister of Pakistan. Pakistan’s recent performances on the tour of Zimbabwe and their improved ranking in ODIs seems to make them clear favourites for the upcoming Asia Cup to be played in UAE. Whilst it may be true that none of the participating teams will be strangers to Asian conditions such as those they will encounter in UAE, and even the top teams can stumble if they don’t play well on a given day, I am convinced that Pakistan will be ahead of the pack due to the quality of their bowling attack. Moreover, the manner in which this Pakistan team is united and combines well makes me think that they have a fair chance of lifting the trophy. When it comes to any game involving the two Asian giants of cricket, predicting winners is a tough call. The much-awaited encounter which is currently scheduled for 19th September promises to be a competitive one. As against the other Asian teams, in my view Pakistan have the advantage over India due to being equipped with an excellent bowling attack. If the Pakistan batsmen can do their job right, then their bowlers can win this crucial game for them. The pitches in UAE are known to be batting friendly and both the Pakistani and Indian batsmen will have little problems, which is why it will be the quality of bowlers which will make the difference and that is where Pakistan will have the advantage. The fact that Pakistan have been playing their home games and the Pakistan Super League in UAE also gives them ‘home advantage’ which hopefully they will put to good use in this encounter and the whole Asia Cup campaign. The recent controversy regarding demotion in the central contract category for Mohammad Hafeez has also caught my attention. I for one feel that he has played enough cricket for Pakistan and it is now time to move on from him and give his place to a youngster. As far as Mohammad Hafeez’s reaction as reported by the media is concerned, it’s almost natural to expect that. Even I would have reacted in the same way in his place, and it seems he is just expressing his frustration and crying out loud and nothing more should be read into that. We have to remember that no one person is indispensable to the team and players come and go all the time. 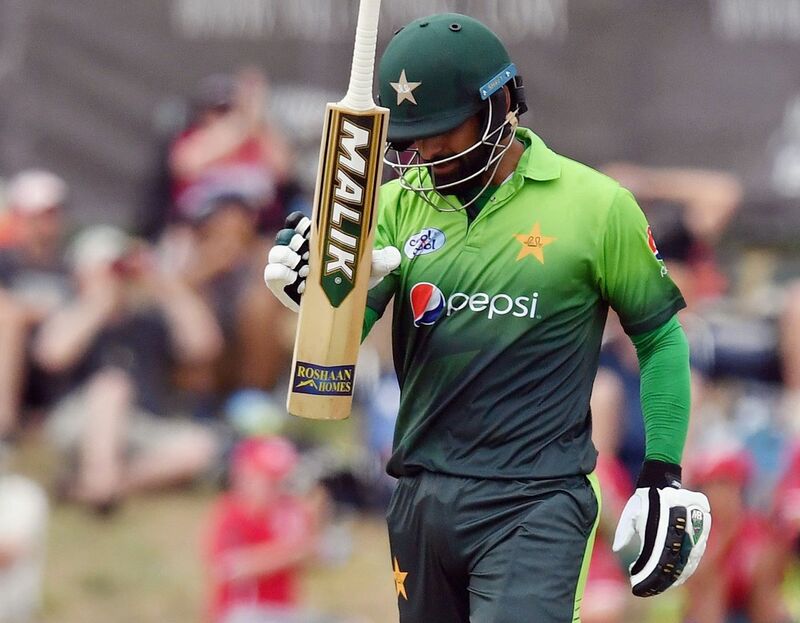 I believe it's time for Mohammad Hafeez to make way for a younger player and to be fair, our young lads have been doing a great job so that should not be a problem for Pakistan. There is still time left before the 2019 World Cup for a replacement for Mohammad Hafeez to be developed so all is not lost if he is removed from the equation. I knew that Fakhar Zaman was a special talent when I saw him play his first game of the ICC Champions Trophy in 2017 against South Africa where he scored 31 in quick time. I was impressed by the quality of his aggressive batting then and I remain impressed with it until today. I feel that he must be given a chance to play in Tests for Pakistan as soon as possible. We had the likes of Adam Gilchrist and Matthew Hayden who showed what good aggressive batting can do to your opponents. We also know that the modern Test game has changed a lot and gone are the days when you could play out 90 overs in a day for 150-200 runs. Nowadays, teams are scoring briskly and putting games out of the reach of their opponents and this is why we are getting more Test results as opposed to the boring draws of previous years. Fakhar Zaman is ideally suited for a place in Pakistan’s Test side as his style of play is just what we need at the top of the innings. To be honest, I am surprised by the fact that he is yet to play Tests for Pakistan, but this situation needs to be fixed without delay. From what I have seen of Shaheen Shah Afridi, I can say that he looks like a proper athlete and his bowling is very impressive. Whilst he is doing well in the shorter formats of the game, I would caution against fast-tracking him into Tests as a regular team member. He is just 18 years old, and his physical development is not complete as yet and we need to make sure that he does not get injured if too much load is put on his body, as would be the case if he was playing too many Tests. I don’t mind him playing Tests, but he needs to be managed properly and for the next 2-3 years, he will have to build-up his physique so that he can be an effective bowler for Pakistan in the future. He has a good run-up, a smooth action and has the potential to be a fast-bowler who will be able to regularly hit the 90+ mph mark. He is a genuine fast-bowler and has a great future ahead of him for Pakistan. When Pakistan visited England a few months ago, they came at the start of the season and at the end of a brutal winter here in the UK. In such conditions, Pakistan did really well by winning 2 Tests in the 3 matches that they played including a memorable victory against England at Lord’s. In contrast, India are currently touring England at a time when the summer temperatures are soaring and from what I understand, have been the highest since 1976. The pitches are dry, and the conditions are more Asian than English. If India are struggling in the Test series at the moment, then one can only imagine what they would have gone through if they had come a few months ago. This is why I feel that Pakistan needs to be given a lot of credit for the way they played their cricket. No amount of praise is good enough for Sarfaraz Ahmed and his men if you look at how they performed in tough away conditions. It is unlikely that India will be rolled over 5-0 in a full five-match Test series but from what we have seen so far, they are heading for a heavy series defeat. In my opinion, India are not playing like a unit and there seems to be some disunity amongst the ranks. For a team to succeed, each team member has to contribute, and I am not seeing that in this India team. They appear not to be working as a team and on top of that, some of their players are suffering from bad form which can be a factor in their poor performances. And sad to say, as a sub-continental team, it is quite possible that behind-the-scenes team politics could also be an issue affecting how this Indian side is playing at the moment. A change has come to the political scene in Pakistan and I for one, am a firm believer that a similar change in personnel needs to happen in the PCB as well. Whilst the holding of PSL was a great achievement of the current PCB regime, this could have been achieved by any PCB administration which had the right resources and is not the reason for holding back change in the organisation. The change needs to happen not only at the top but also at the lower levels where we have people doing jobs at the PCB for the past few decades. Changes to personnel and policies as well as structure need to happen at a large scale and I am convinced that Imran Khan as the new Prime Minister of Pakistan will implement these changes. He has been talking about the deficiencies in our domestic structure for over 25 years now and whilst as head of government he may not have so much time to devote to cricket affairs, he will have access to a team of people who can drive home the changes that he has been so passionate about. It would have been great if with Imran Khan’s appointment as Prime Minister and based on the talk of goodwill, we could see the resumption of Indo-Pakistan cricketing ties very soon. Sadly, that will not happen until there is a change in relations at the political and governmental level. And whilst Imran Khan due to his cricketing connections may well want to resume ties with India, we all know that this requires a positive movement from both sides of the border. We in Pakistan have been wanting to resume cricket ties for such a long time, but sadly there is no positive response from the Indian side and not much progress can come out of such a situation. Last edited by hadi123; 18th August 2018 at 21:08. Good blog. Shaheen has great potential, he will only get better. Hafeez losing friends all over the place but is he that bad?! Also seems to be a feeling amongst ex players that Imran Khan will make wholesale changes - will he? Mohamed Zahid bowling at full speed to Mohammed Hafeez -- that would have been some sight on a cricket pitch after seeing how Zahid had that Brian Charles Lara hopping around once. Just watch Shoaib bowling to him. Would've been clean bowled within an over. Hafeez has still got something to deliver for . He is leading run scorrer for  since 2010. He has achieved many records for  nd for himself. Give him the respect he deserves. He is not that bad. Seems it's all over for Hafeez? Rightly dropped and it was time to move on from him along time ago. Hafeez is good spinner as well, so his exclusion is not justified by any means. Hafeez has still got something to deliver for 🇵🇰. He is leading run scorrer for 🇵🇰 since 2010. He has achieved many records for 🇵🇰 nd for himself. Which world are you living in, are you sure you're talking about that useless professor ? Stats don't lie my dear. He is regarded as one of the best all-rounders  has ever produced in world cricket. Seems even Malik turned on him today - telling him to talk to management instead of going to press etc- knives are out for Hafeez. Hoping he's the last of the so-called senior players that call press conferences after being dropped by the selectors. This culture needs to change. These are some of the tactics that our seniors have learnt from their seniors. It was appalling to see PCB allowing the press conference to happen. I think he should hv been show caused for it. He has taken a 6fer to help his team SNGPL to over FATA by an innings and 52 runs in QAE Trophy. Hafeez definitely not thinking along those lines. Why does he keep getting brought back? What does he ever do for Pakistan? The epitome of mediocrity. Boot him out as far as the eye can see! If Hafeez plays in the next Test then there should be hell to pay. What did the current lot do for Pakistan today? Granted, it was a shambles today, but this guy has been useless for a sustained period of time. He will play in all 3 formats till 2019. Impossible to get rid of no matter what he does. Why can't we get rid of him once and for all. All times are GMT 5.5. The time now is 17:53.